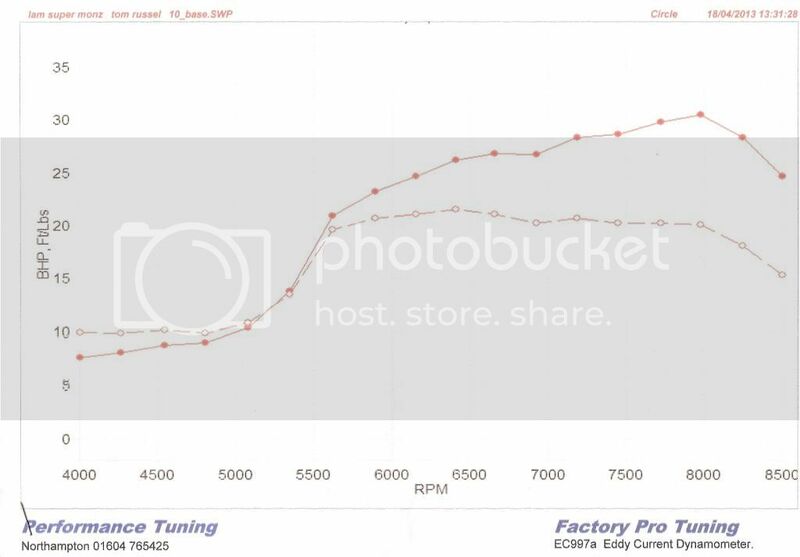 Steve very kindly sent me his dyno graph (as it now seems to be missing from the beginning of this thread) produced at Performance Tuning after Charlie Edmonds set up his Super Monza engine. Unless I've had far too much of the Red stuff this evening (probably), this graph seems to differ quite considerably from the graphs on the Super Monza charity topic?! Got my Super Monza scoot back from Charlie Edmonds at Performance Tuning yesterday, just in time for the summer, which had gone in for dyno setup and general check over. 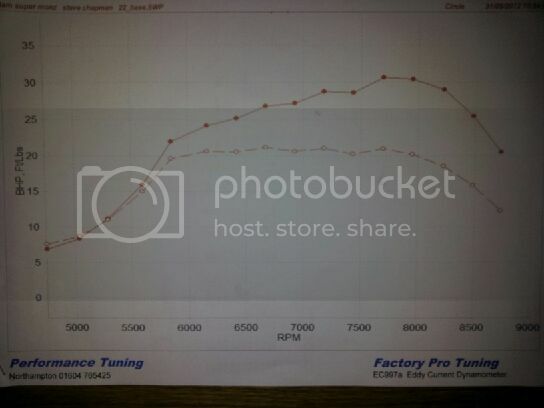 As you'd expect, very similar graph to Steve Chapmans, with max power of 30.5 bhp @ 7976 rpm, pulling TV 200 gearbox. 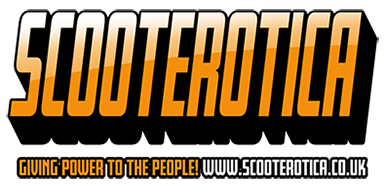 The scoot now runs cleaner and cooler (EGT), after he'd made a few tweaks to jetting and timing, and I have to say is very impressive for what is essentially a bolt on kit with no additional tuning. Yep, it's very impressive and blistering quick through the gears, and difficult to ride slowly! I'm so glad I took it to him for the final set up, just peace of mind really, and the added bonus of it running even better now! Am I reading the graph right? There's no power until 5500, then it all comes in in a big wallop? That must be hell to ride in traffic, or as an every day bike. Muttley McLadd wrote: Am I reading the graph right? Yep, there isn't a great deal below 5k, and you've gotta be careful with the throttle in traffic, but it's not that bad, I've ridden much worse (2 strokes) in my time, and to be honest I knew the Super Monza kit wouldn't really be an "every day bike" (but if I had to, I would quite happily use it as that, and just accept it for what it was), if I wanted that I'd go for something much tamer! But, hell is it worth it, when you get on an open road, the power and torque, pulling such tall gearing (with ease) means you get to 80+ very quickly!